Clarification of intent for humanity-general occurs as Higher Dimensional gateways are opened for all. Higher Purpose is revealed in ways that are undeniable to each. Forces of movement previously restricted to Hue-manity are now available to humanity-general. Questioning of all outdated paradigms by humanity-general becomes “the normal”. Hearing and trust of Higher Self is now accepted as “the normal”. Movement of Gaia surface energies has smoothed disturbances arising from Gaia energetic restructuring. Mass movements of humanity-general, as well as Hue-manity particular, has shifted into what may be called an “Eternally Upward” direction. Awakenings of humanity-general proceed at quickened rate, as the smoothed Gaia surface energies allow undisturbed free thought. Such smoothed energies encourages open mindedness in individuals. Gaia now speeds what could be called, “heart openings”, although perhaps better described as “Soul Being Contract openings”, to occur in all individuals. We are going through the wringer of perfection and change. All that is coming forth now, is a reflection of your personal growth and enlightenment. All that you should not to cope with anymore is leaving your fields, your Self and your heart. All sorts of reflections are coming your way now as they represent what you are, what keeps you busy in the mind and what you were until this point. These reflections are required to be presented to you, as they come in your life and your reality to become noticed as a reminder to work on or to just release them. Life is about heart choices you make in your life, precious hearts, and there is never a wrong one to make. You, as a beautiful being of Light, represent the Unconditional Love of Gods Presence, the One of “All that Is”, so you are eternal and so are your choices in life. You continue to move forward in your chosen path and whatever that may bring into your life, into your consciousness or being, it is all for the benefit and for your highest best at that time. Your heart knows what is right for you, what you need to experience at this time and what your part is in another ones life as a lesson or experience. You are all intertwined and connected into this giant Cosmic Web of I AM Presences, forming this beautiful grid of Love, compassion and Being. All parts of this web form the Oneness and this is where you are part of, what you are forming and what you ARE, all together and as a single heart as well. As we are going through this wringer of fire, One has to be careful not to become fearful, or doubtful about One’s Self. You all Precious hearts are being brought to this rather uncomfortable position, where the energies are forcing you to make heartfelt choices in life as well as releasing a lot of old energy and emotions. See this as a precious gift, for it is helping you to understand more, to grow more and to detach you from the illusion and set you free! The ego and mind will be very powerful at times, trying to mislead you into the thought of holding on to your comfort zone and to old patterns, for it is losing grip as the ego is fading away and making place for the heart as the ruler and your center. This process of change and rebirth in your True Self of Light is not only a long one to take place, but also a hard one at times for the ego has been your leading center for aeons of time. The more you are your heart and the more you linger in your heart, the smoother the transition goes and the faster your evolution and growth continue. You might be confronted with difficult issues and situations at times, but know that this has a meaning and that it is showing you that this needs to be worked on or removed first, in order to be able and continue this chosen path of yours. My precious hearts, this is what the month of June of this linear time is all about: the continued process of developing your heart feelings, skills and birth into yourself. Whatever needs to be confronted first will be played out now at this very moment, for time has been a long one where you have been prepared to do this job. The point has now been reached to start acting, doing and changing this so called reality and world that you are in. Therefore this month will be a lot about change, moving forward as well as about the continuing cleansing and finding the balance in your emotional self and your physical self. The emotional and mental body might get under a lot of pressure this month, due to the changes and choices that might be your reality at this time. Know, Precious hearts, that this might be the most challenging part at this time, for the emotional body is the largest one of all your 4 fields around your physical self. After this process, the etheric body will start integrating more, which is your spiritual self and this is the stage of the Ascension process where more will be seen and felt in a tangible manner, concerning your gifts, creations and enlightenment. So beautiful progressions are just around the corner, precious hearts, remember to continue your devotion to Self and your chosen goals in this life experience, with this beautiful prospect in the back of your mind. Greetings Dear Ones! It is I, Lord Emanuel come to be with you again this day. And as always Dear Hearts, it is my great pleasure and deep honour to be with you, to be allowed in by you, to have your attention for this time that we have together. As always Dear Ones, take in a deep breath as deep into your belly as you can and exhale out a long slow deliberate breath and see with it leaving, all your tension, anxiety, negativity. Take as many of these breaths as you feel comfortable doing, 7 is ideal. Your breath, Dear Ones, is such powerful tool, it is the connector, connecting your consciousness to your body. From this connected place, feel my presence with you as you read my words that you may receive a deeper healing from them. Dear Ones, you can not fail to notice that your world seems to be falling even deeper into chaos. Please may I remind you that it APPEARS that way for many reasons. The most apparent reason is that if the only source of your information is mainstream news and media, then that is all that is reported. As I have said many times here in these messages, your mainstream news does not report the truth but only a distorted version which paints the required picture for those in control, the picture they want you to believe of any events transpiring in your world. On top of that Dear Ones, the mainstream news and media will only report that which instils fear and division. Again, I have imparted this information before here, the energy of fear is required by those who are really in control of this planet, therefore an extremely biased view of the world is presented to you in order that you think negatively and react to these atrocious situations being played out on Earth with high running emotion and fear. There is no balance. You are just not seeing all the incredible positive events that ARE happening around the world. Now I know you know what I have imparted here. But even if you are aware of the bigger picture, even if you are aware of the tactics employed by the dark forces, even if you have all the knowledge of this, it is still very challenging to stay positive in the present circumstances. Many of my messages of late have been upon this subject but I will stay with this subject until the time has passed and it is no longer important. It is still required of me to help keep you on track at this crucial time. Dear Ones, you may think knowing the agenda makes you immune from emanating fear and adding to the negativity. I tell you Dear Ones, in no uncertain terms this is not always the case. Please do not take this as harsh judgement upon you for not only is that not possible, it is not my intention here, for I am laying out for you all the reasons it is so very challenging for you to stay out of the trap of fear and negativity. These are very challenging times Dear Ones as you know so very well. If your news reporting was well balanced and truthful, the mindset of the people of Earth would be so very different, Dear Ones if you could see the number of slumbering peoples of Earth that are stirring, becoming restless and discontent with the status quo, the number of people who are finally beginning to say enough is enough, finally beginning to realise there has to be a better way. Dear Ones this is happening by the million as we speak. 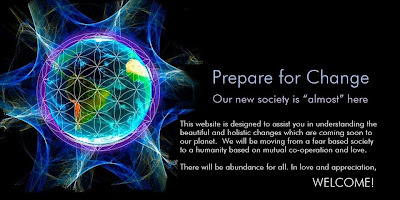 This is the commencement of real awakening for many millions of Beings and it is truly happening right now. Dear Hearts, peaceful civil unrest is the most incredibly encouraging positive sign imaginable that things are changing upon your Blessed planet, a tangible sign that you can see is happening. I do not condone violence in any form but it is understood here in the Ascended Realm that freedom fighters often have little choice when defending their families and their homes. May I ask of you that you send out Love to all the volatile trouble spots on Earth and that you pray for peaceful solutions to be brought about swiftly. You have it in your power to stop the violent oppression of innocent people by your conscious thought and intention right now. Dear Ones, the conflicts on your Earth rumble on, the conflict within your families and friendships, work relationships and neighbours rumble on but please understand this is a very necessary POSITIVE step toward Global World Peace. My Dear sensitive Hearts, you are doing so well in a world that seems so cruel and harsh, keep on moving forward with Love and Grace, the Kingdom of Heaven awaits you. This is my Promise to you. I AM Lord Emanuel, as sure as God you will return. copyright to this message in the name of the Ascended Master Lord Emanuel. Where shall we begin? We have received many questions, and much is happening on the Planet in the past few days. We will first bring you up to date on an issue we have not discussed in depth here, but which has been circulating on the internet, so we decided to address it. It is the matter of the stabilization of Planet Earth to prevent her from flipping on her axis. It would have been part of the natural process, like that which has occurred many times in the past. But this time, the Galactics, the population of humanity on Earth, and We did not want to see the destruction of all on the planet in a sudden and dramatic moment. We wanted to help you continue your work, to make the Ascension process possible not just for Mother Earth, but for her children as well. And so it has been decided to offer the most strenuous help to stabilize and steady the planet as she expands. There will be earthquakes and storms, some very dramatic weather, but the casualties have been minimized tremendously so far. In order to do this, massive ships have been placed in a ring around Gaia, using the power of their magnetic generators to hold her in their arms, watching moment by moment as the shudders and fracturing continues as Mother Earth’s crust expands. Many variations on the plan have been considered and some tried in recent months. You have not been aware of any of this, and there was no need for you to be. There was always the plan, put in place more than 70 years ago, that in case of sudden disaster, the ships would land and whisk away the inhabitants of the planet in a genuine rescue mission to avoid the mass destruction of humanity. It would require only that all inhabitants be willing to hurry onto the ships in order to be saved. We would have hoped they would all be intuitive enough to board, but it is always possible that the fear-mongering of the Dark Ones would have prevented the successful execution of the plan. With the knowledge that Earth was extremely unstable, we have continued to work with you to help you raise your vibration so that you could help with your own vibration to stabilize the Earth’s growing pains and magnetic instability. You are electromagnetic begins of Light, just as Mohter Earth is. With your combined power it would have been possible to anchor the Earth’s center, from where you stand, as everyone else would do, and so help to delay or prevent the pole shift, which has happened on many other planets in your solar system, by the way. Gaia was not able to hold steady by herself, and so she called for help from the Galactic Federation. They responded with the most powerful technology available, and the most brilliant scientists and engineers. You, dear Earth beings, are truly the center of attention and focus for the Universe at this time. It is a heroic task, and our dear Crew has been successful so far, but we can tell you now that it has been a matter of great concern and massive activity for several months. During the past month there were times when those in charge of the (literally) Herculean task feared it would not be successful, and indeed the first efforts were not. To add power to the ring of crafts which were holding the planet, a new task force has been added. It is the presence of extremely large (hundreds of miles in diameter) ships, positioned at strategic positions around Gaia, to apply some different strategies to create stability. Gaia herself is straining to maintain control, like a mother in childbirth managing the birth process to protect her child from harm. She is able to work with the new ships in a more comfortable way, even as she continues her Ascension and expansion. This was one of the reasons we were so intent on helping you to meet the December 21 date you have set for yourselves; in fact we were all but convinced you would hurl yourselves across the finish line then, but as you know, the highest timeline leap was not accomplished at that time as we so dearly hoped. We saw the developing instability problems and were not certain of the success of the stabilization options at the time. As many have been working to stabilize the military situation, which could have set off a disastrous destabilization of the planet, others worked to improve the international political situation and many more to restructure the financial systems to prevent chaos on the surface, and as you who are reading this have been working to encourage Disclosure for the reasons you were already aware, of and many more. So you see, there is much happening behind the scenes which has affected all the other plans for the smooth transition of Earth and her inhabitants. All is being watched carefully by Us and overseen by Prime Creator. Such a massive attempt at stabilizing a planet in Ascension has never been attempted before, although similar projects of lesser magnitude have been tried. You are truly blessed among all in the Universe, Dear Ones. Why does the entire Universe reach out to help their small, distant cousin Planet Earth and her human inhabitants? What do they see in you that touches their hearts and stirs their imaginations? Why are the Agarthans, the Arcturians, the Sirians and Pleiadians, among many others, drawn to be of service here in this corner of the galaxy? Why have they left their homes to travel so far to be of service at this time of need? First, it is because they are compassionate in their natures and nurturing in their ways, but it is more than that. 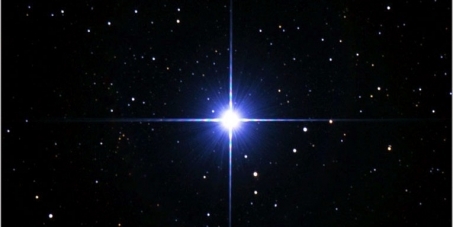 They are deeply moved by the long history of valiant struggle which they have watched with keen interest over the millennia, aware that this new strain of humankind, known across the Universe as “The Creator Race,” carries a unique combination of intense emotional energies and the DNA potential for high intelligence. They have watched your struggle against the Dark Ones, which ebbed and flowed over the centuries, but seemed to create such heroism in certain individuals, and such bursts of Divine Light that the observers gasped with wonder. It is this dramatic struggle which captured their hearts, and inspired them to gather here to help. They are also captivated by your Sponsoring Agents – the brilliant Kumaras, the Elohim, the Archangels and our Legions of Light who have represented Mother Earth, ever supporting her cause and the welfare of her humankind in the Councils while she – and you – have struggled to Ascend to Membership in the Galactic Federation of Light. With the current status assuring more safety from catastrophic global changes for the time being, we encourage you to continue your work to elevate yourselves on your own paths toward the Light. Every day brings you closer to a time when you will be given the option to Ascend into the Light, to be completely One with Us. Is it truly what you want to accomplish – for it is an accomplishment, the achievement of a goal which is far more heroic and meaningful than anything else you have ever done in your life? Will you forgo your intellectualizations, your doomsday imaginings, and your persistent attachment to 3-dimensional thinking? Will you continue to imagine that We do not understand your use of time (when we invented it) or your suffering (when we live through every moment of it with you)? Will you cling to the suffocating religious beliefs in a Vengeful God, and point to every misfortune or pain as proof of our cruelty and our refusal to help you? We have tried to help you to understand that it is just those misfortunes and pains which finally bring you closer to Us, to receive our Love and our sustenance. We have explained the Universal Law of Flow, which guarantees that what you place in the atmosphere around you, in energetic terms, creates the life experiences which come next. Yet, you continue to complain about your life circumstances as if you had no influence on them. We acknowledge that there may be an occasional blow from out of left field, but it does not come from Us – generally it is a part of your overall contract which includes challenges as well as triumphs. But you, Dear Ones, are short on the triumphs because you tend to look for, plan for, and therefore create illness, financial distress, and interpersonal discord. Has a marriage every survived a prenuptial agreement? Does someone with life insurance live longer? Today we ask you to believe Us. Try to live your life for one entire 24 hour period in a state of Unconditional Love – for yourself, for your fellow man, for your children, your family, neighbors, mailman, gas station attendant, boss, co-worker and auto mechanic. Live as if this were the day which will decide your entrance into the high energy-calibrated Ascension portals. Give everything you have to everyone you see. Revel in the freedom you feel when you discard all worry, fear and any thought for planning for the future – for just one day. Announce yourself to yourself in the mirror in the morning: I AM the true God Presence on Earth. I am the gift to myself and to everyone around me when I shine my Light and claim my place among the Angels. I am here to create Light, to breathe Light, to use and shape and spread the Light. I am my own happiness, my own comfort and good company. God Loves Me. I Love God. I AM Light. We promise you will finish your day with a smile and a heart that is full. Then try the next day, and you will feel twice as blessed. We will be cheering you on.